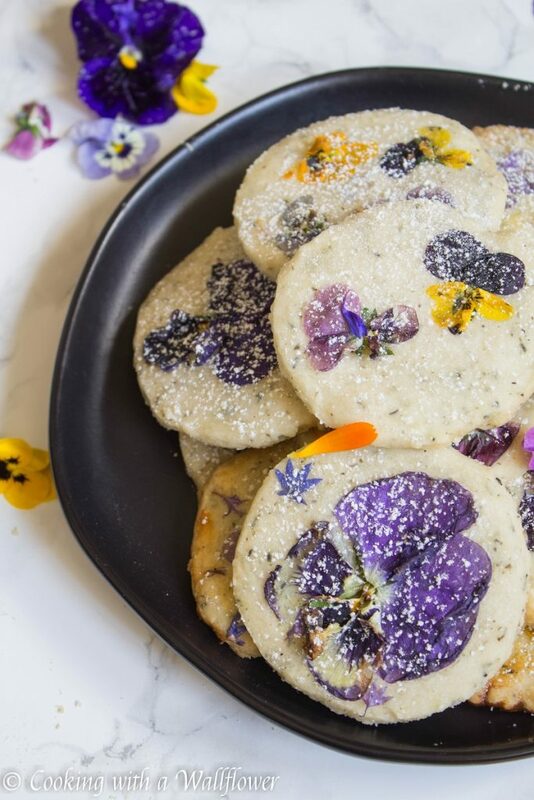 Jasmine tea infused short bread cookies pressed with fresh flowers and dusted with powdered sugar. 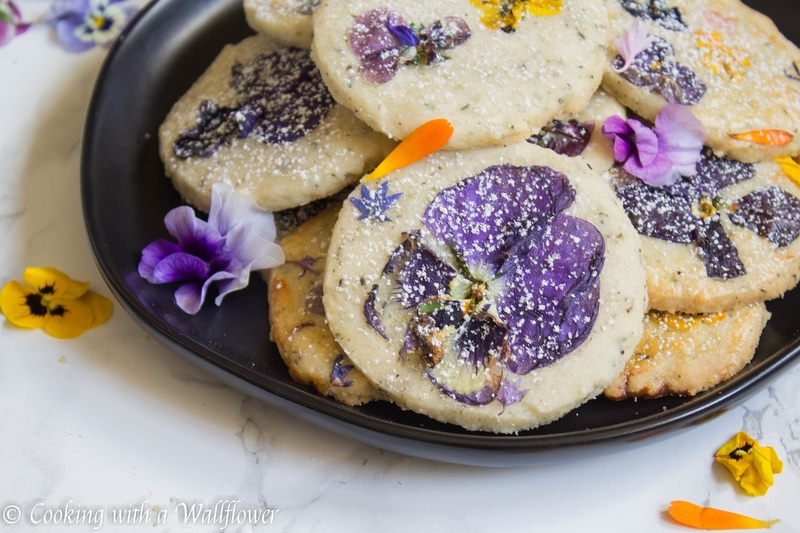 These flower pressed jasmine tea shortbread cookies are delicious and perfect for entertaining. I’ve had a rough week, and it’s only Wednesday. That means I’m going to need a little treat to get me through the rest of the week. What could be better than tea infused shortbread cookies? Just a few weeks ago, I shared earl grey shortbread cookies. Now, I’m sharing jasmine tea infused shortbread cookies. And to top it off, I wanted to add fresh flowers to the top of the cookies. 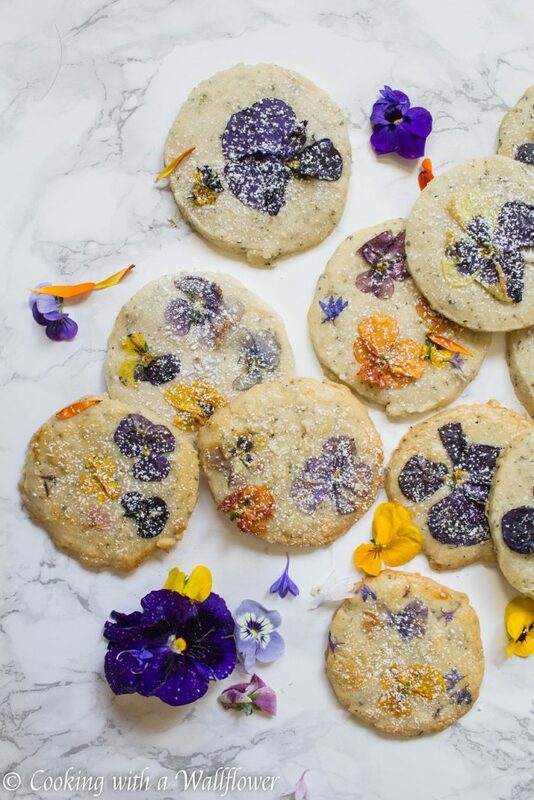 Because flower pressed cookies are everything. 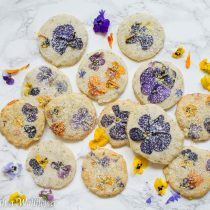 I’ve been waiting for awhile to share with you these flower pressed jasmine tea shortbread cookies. I happened to be at the farmer’s market and came across a box of fresh edible flowers. So many different flowers in so many colors. I knew I had to buy them to press into shortbread cookies. These cookies are soft and buttery with just a hint of jasmine green tea. 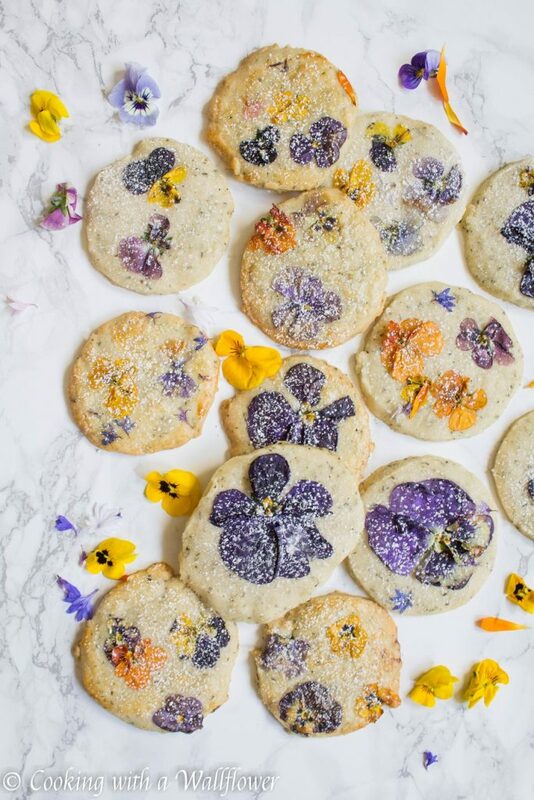 The flowers are pressed into the cookies just before baking. They may brown a little on the edges, but nothing a little dust of powdered sugar won’t fix. 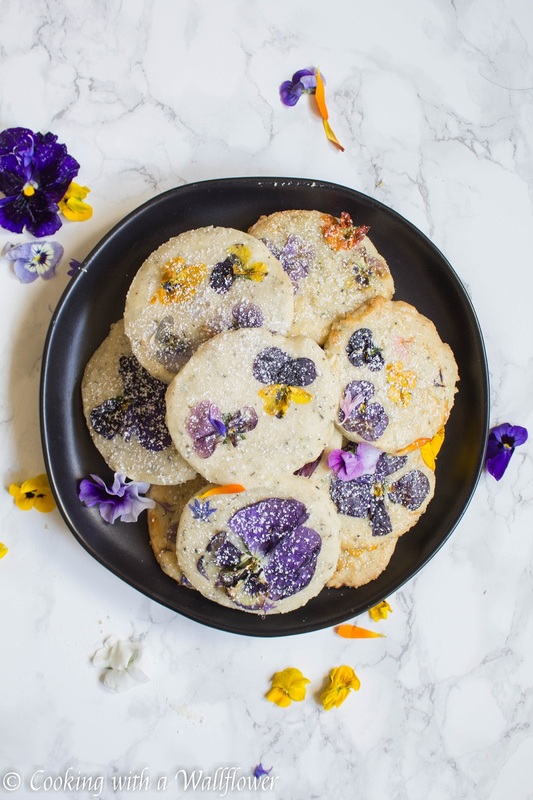 These flower pressed jasmine tea shortbread cookies are simple to make and perfect for serving at parties and get togethers. Preheat the oven to 350F. Line a baking sheet with parchment paper or a silicone baking mat. 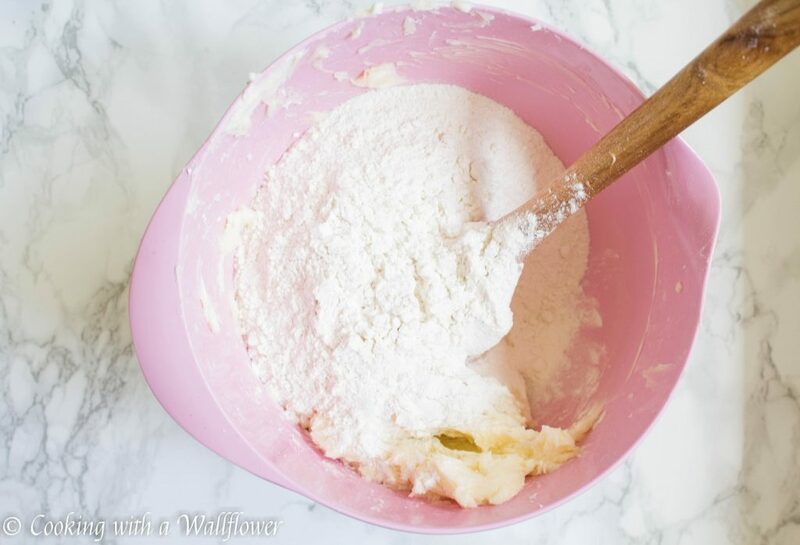 In a medium sized mixing bowl, cream together butter and powdered sugar until smooth. Add all purpose flour and salt. Break open a jasmine green tea bag, and add all the contents of the tea bag into the batter. Discard the tea bag. 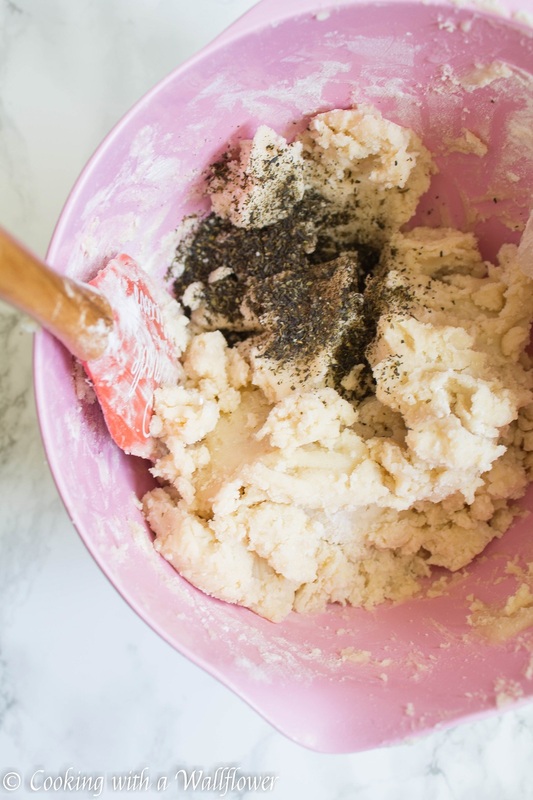 Mix until the cookie dough comes together. Roll the dough out on a lightly floured surface until it’s about 1/4 inch thick. 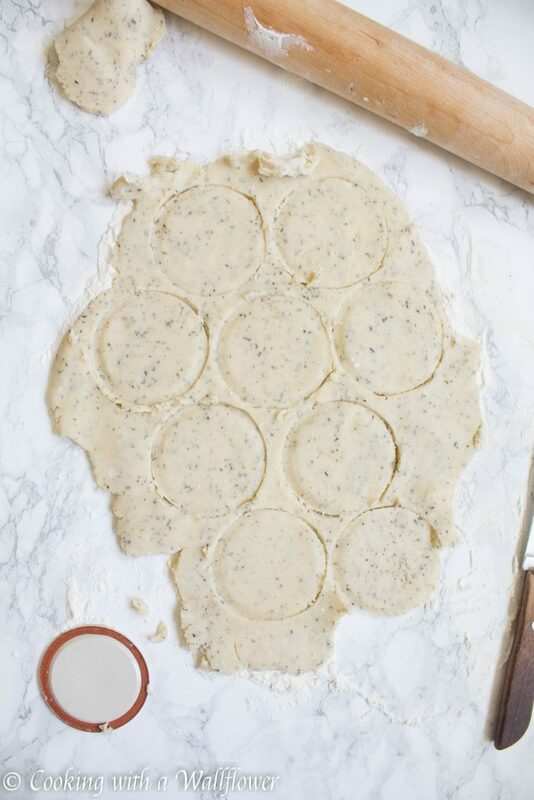 Cut out the cookies into circles with a cookie cutter or shape with your hands. Place fresh flowers on top, then lay parchment paper on top, and use a rolling pin to press the flowers into the cookie. Place them onto the baking sheet, and bake for about 20 minutes until the edges have browned. Dust powdered sugar on top. 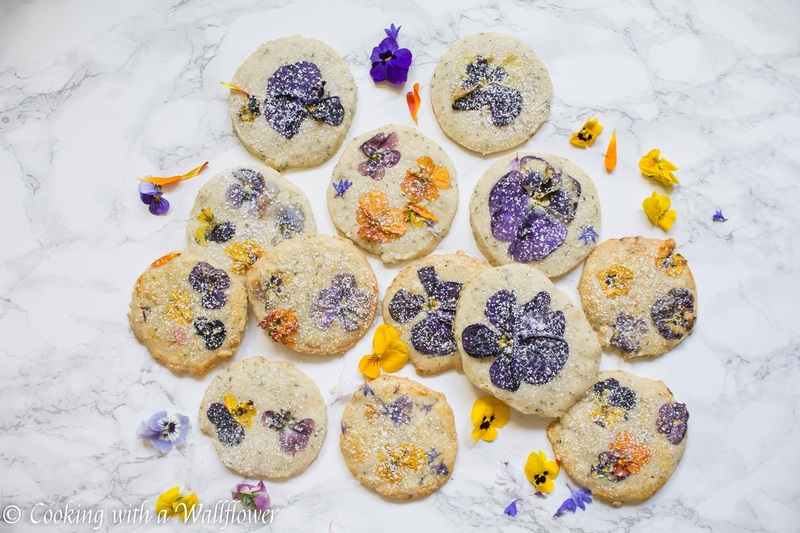 Serve these flower pressed jasmine tea shortbread cookies with your favorite tea. 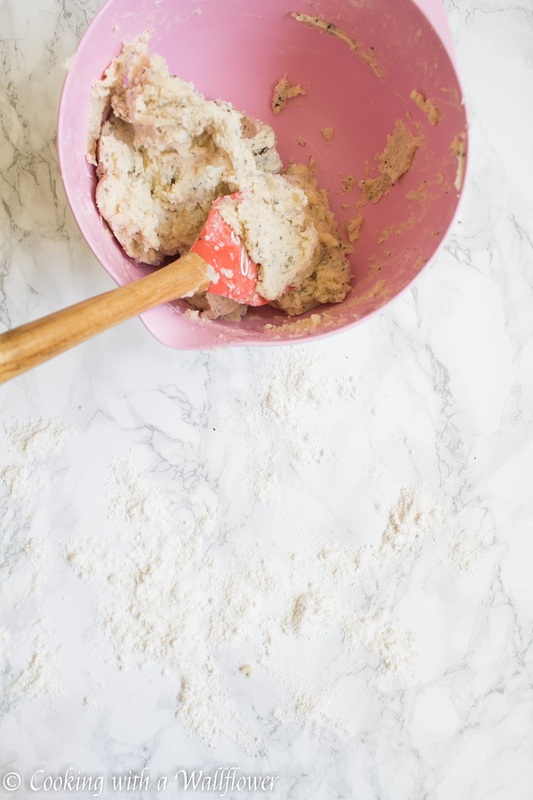 Roll the dough out on a lightly floured surface until it’s about ¼ inch thick. This entry was posted in Cookies, Desserts, Farmer's Market, Quick and Easy, Recipes, Vegetarian and tagged cookies, dessert, jasmine green tea, quick and easy, vegetarian. Too pretty to eat! I can’t wait to try this out next spring. Makes me want to host a tea party. They look very lovely, and I bet they are delicious. Have a great weekend! They look like art!! Absolutely beautiful!